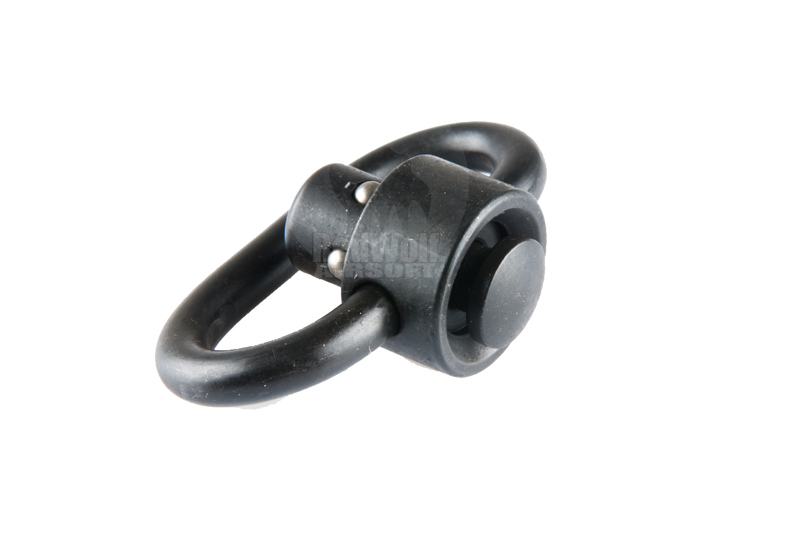 Sling swivel ring for the attachment of slings; the ring is the QD type which requires a QD slot to attach to a weapon (not included). This set comes with two QD sling swivels; a convenient package for someone looking to slap on two rings for slinging a weapon at two points, now you do not have to buy two single ones. 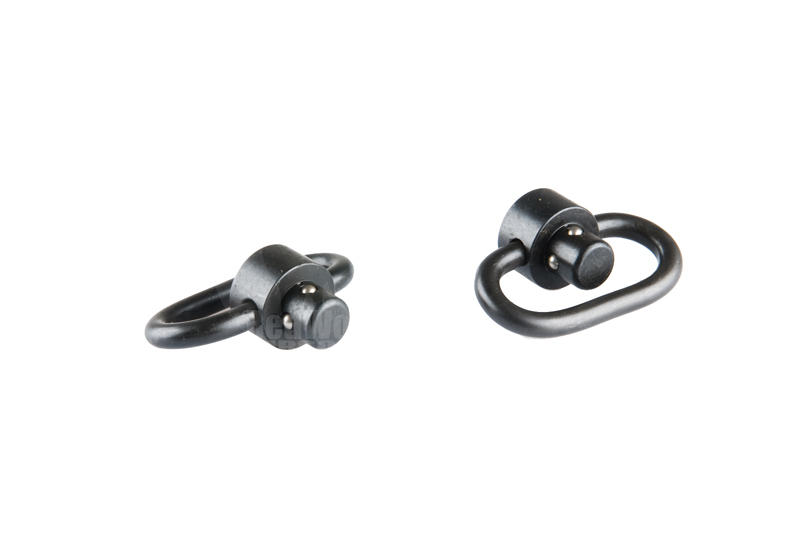 These sling swivels are made of steel with a dull black finish. With no QD mount slots, to attach these swivels to your weapon will need QD sling slots already on the weapon; these are fairly common on modern stocks and rail systems. That said, do we sure you have some already otherwise you will not be able to use these sling mounts. If you want to attach this to a rail, you can also find similar G&P models with rail attach brackets and rail attach QD slots as well.